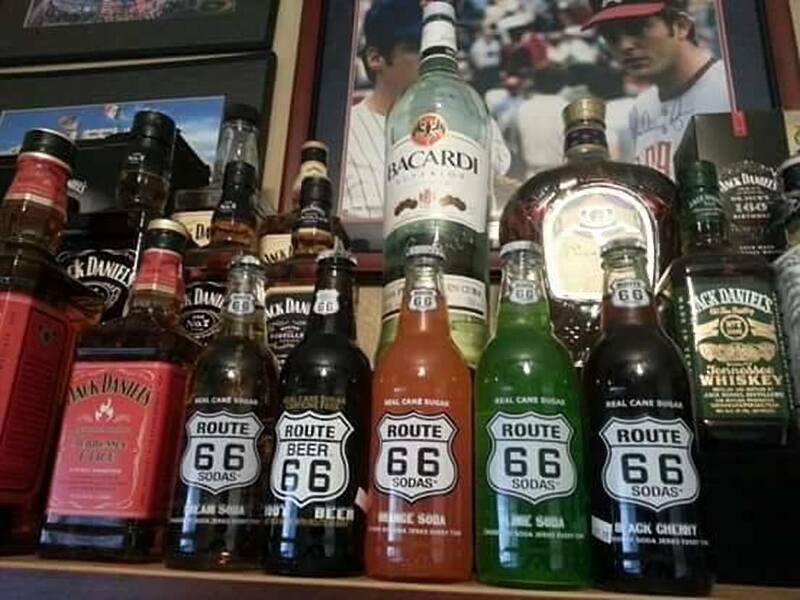 Zagreb's rock bar par excellence, Route 66 features live music, pool tables and sought-after Velebitsko beer. Photos of Bill Wyman and someone from AC/DC mark their respective visits, sealing the venue's reputation as a musicians' hangout. 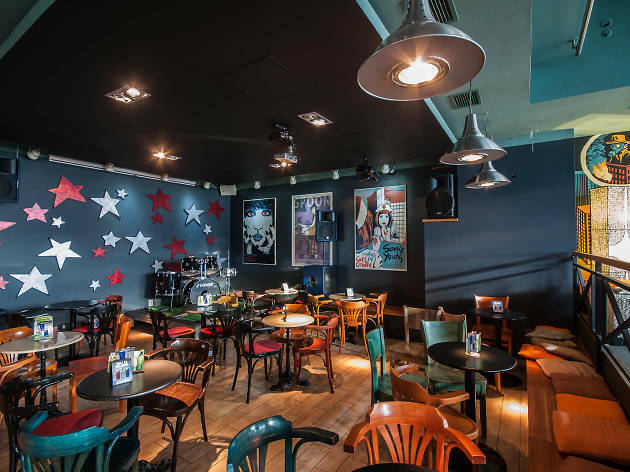 Live bands play two or three nights a week, including Sundays – which is blues night. 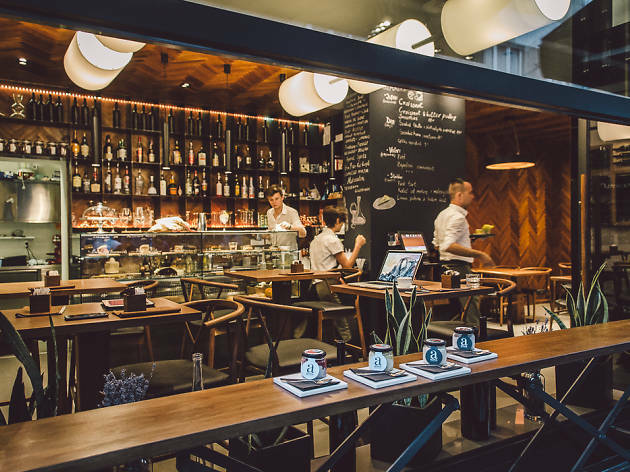 Thank to a gaggle of designer stores the narrow, arcade-like Dežmanova is fast becoming one of Zagreb’s coolest addresses, an impression only bolstered by the opening of this chic new café-bar. The interior is as modernist as they come but soothing with it. Matt-black walls jostle with warm woody tones, and geometric light fittings convey an arty bent. As far as the drinks are concerned the accent is very much on quality at a decent price – coffee is supplied by local direct-trade roasting outfit Cogito, beers include the locally brewed Zmajsko Pale Ale, long drinks a refreshing Bellini (25kn), and there’s a good wine list with plenty of sparkling options. 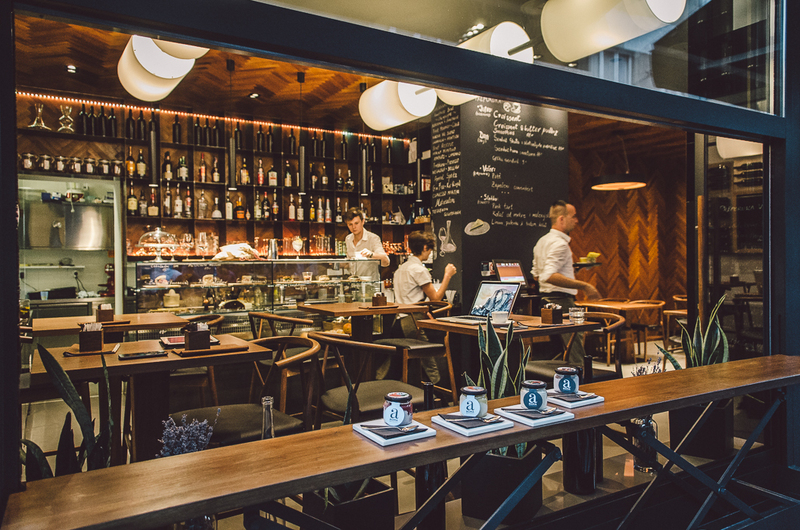 The cakes are hard to turn down, and there’s an evening menu of pršut and cheese platters. 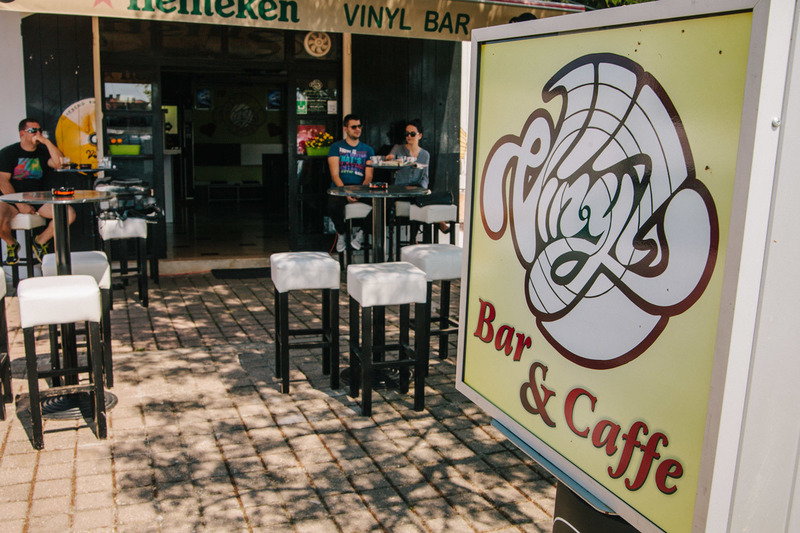 Situated right on the coastline, Vinyl Bar is so pet-friendly a recent terrace expansion was done for the benefit of our furry friends. 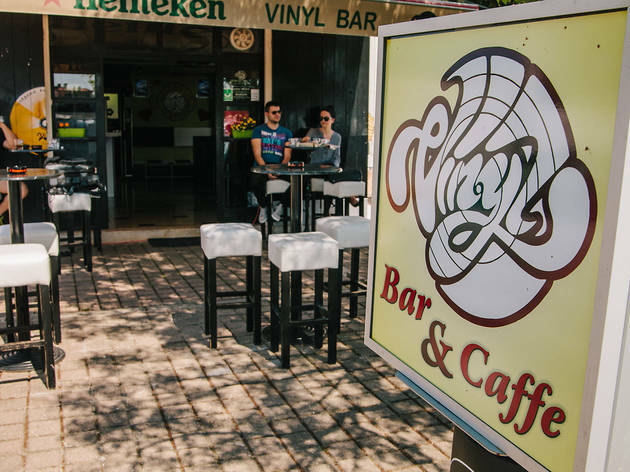 It's a lovely place to enjoy the sunrise and sunset, as Hitchcock did when he visited the city in 1964; indoors, the Vinyl Bar’s name is apparent: scores of LPs decorate the floors, walls and tables. Local or international DJ’s play every weekend: non-commercial house, electronic, funk, jazz, RnB and soul. 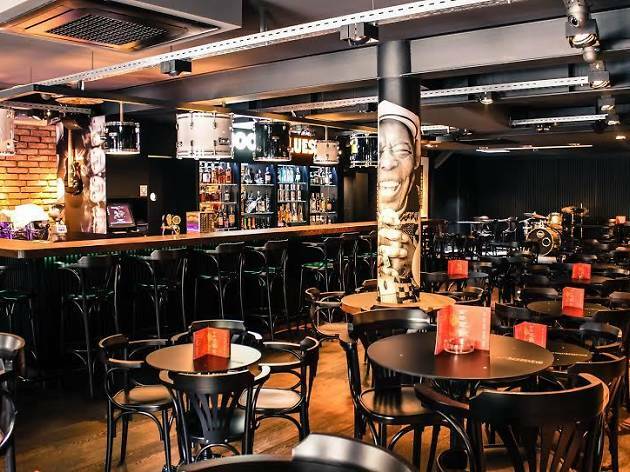 Right at the top of the Tkalčićeva strip, this new venue launched in autumn 2014 looks exactly how a music bar should do, with a small stage at one end of a dark but imaginatively lit space and all kinds of musical memorabilia hanging from the walls. 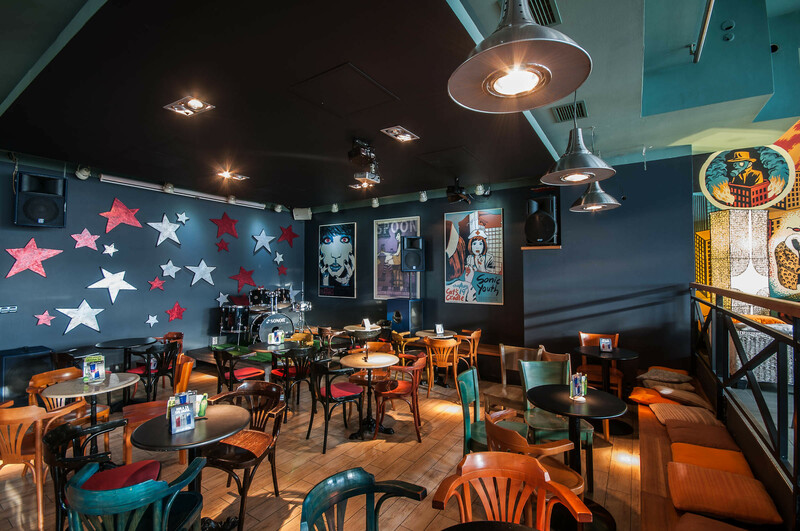 Lamps hidden inside bass drums hang above a long bar stocked with the the kind of things that any self-respecting rock-and-roller would want to see – with whiskeys, rakijas and boutique beers (from Istrian brewery San Servolo) lining the shelves. Live music from Wednesday through to Saturday, featuring funk, rock covers, and plenty of blues. 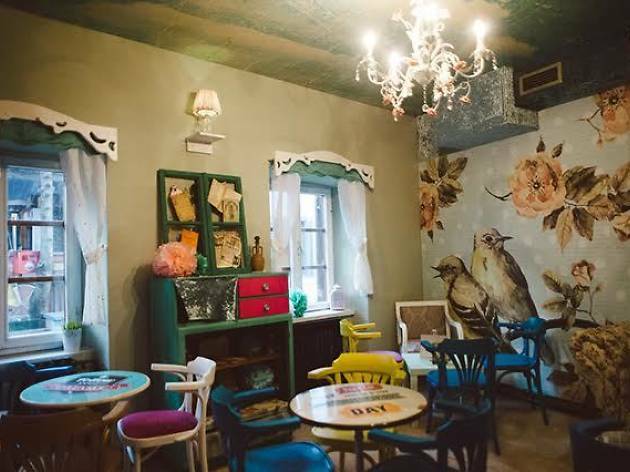 This first-floor flat in a charming old Tkalčićeva building has been transformed into an agreeable warren of quirkily decorated sitting rooms, with mix-and-match furnishings, paintings on the walls, and agreeably low-key lighting. 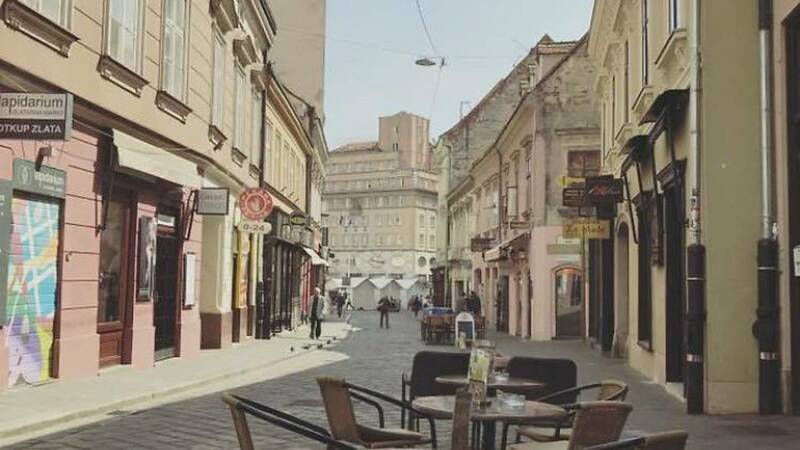 There’s also outdoor seating in a slightly raised garden overlooking one of the busiest stretches of this bar-filled street. Rakijas are the stars of the show: if there’s a fruit or vegetable that you can make brandy out of then rest assured that it will be on the menu here somewhere. 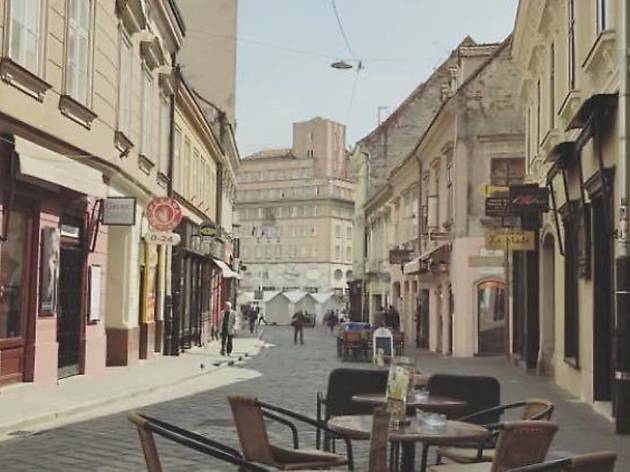 Bottled beers include the excellent Velebitsko pivo and the boutique-brewed Visibaba range. 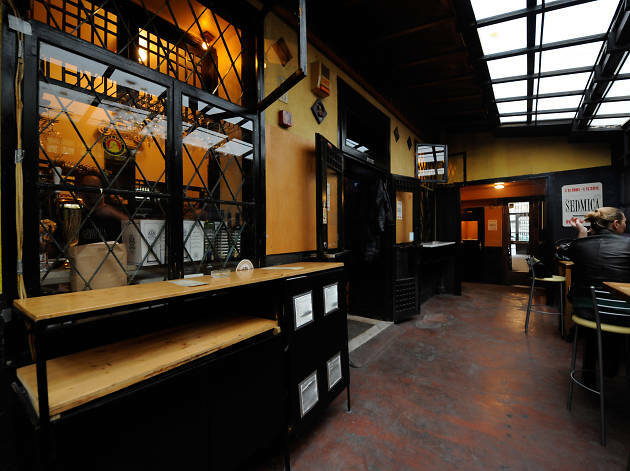 Known by all as 'Krolo' after the writer Miroslav Krleža who lived here, this beautiful old wooden bar near the main square gives its many patrons a flavour of pre-1991 Zagreb. 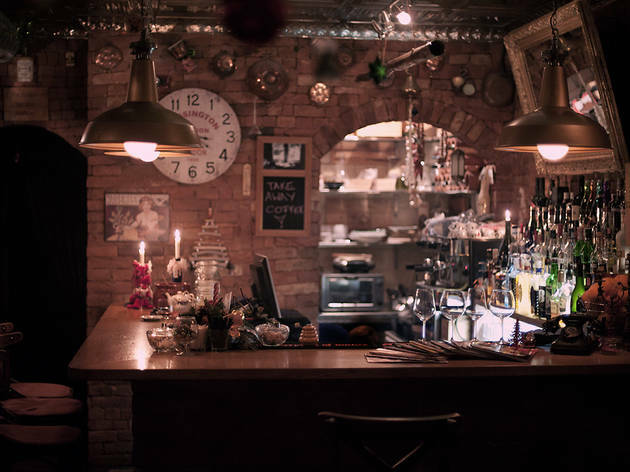 The bar staff are easy-going, the inviting older clientele religiously scan the day's newspapers and the younger regulars gather round the semicircular bar. 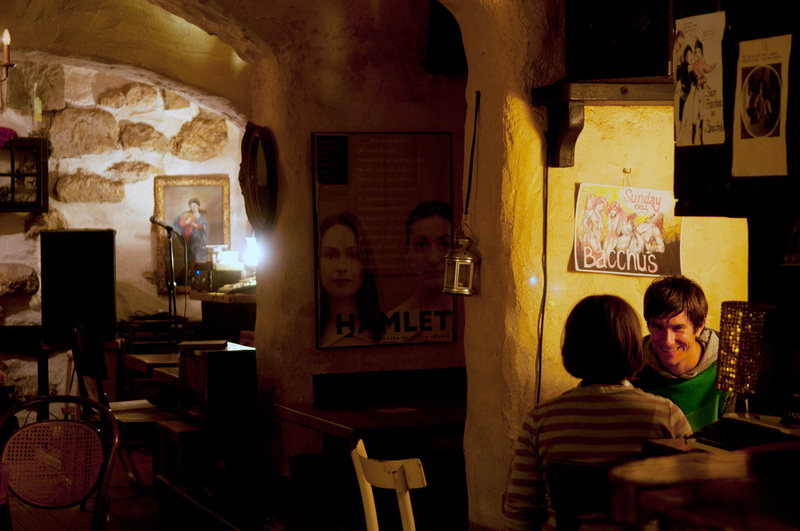 No DJs, no hipster-attracting tricks, but still crowded and raucous at weekends. Timeless is the word you're looking for. 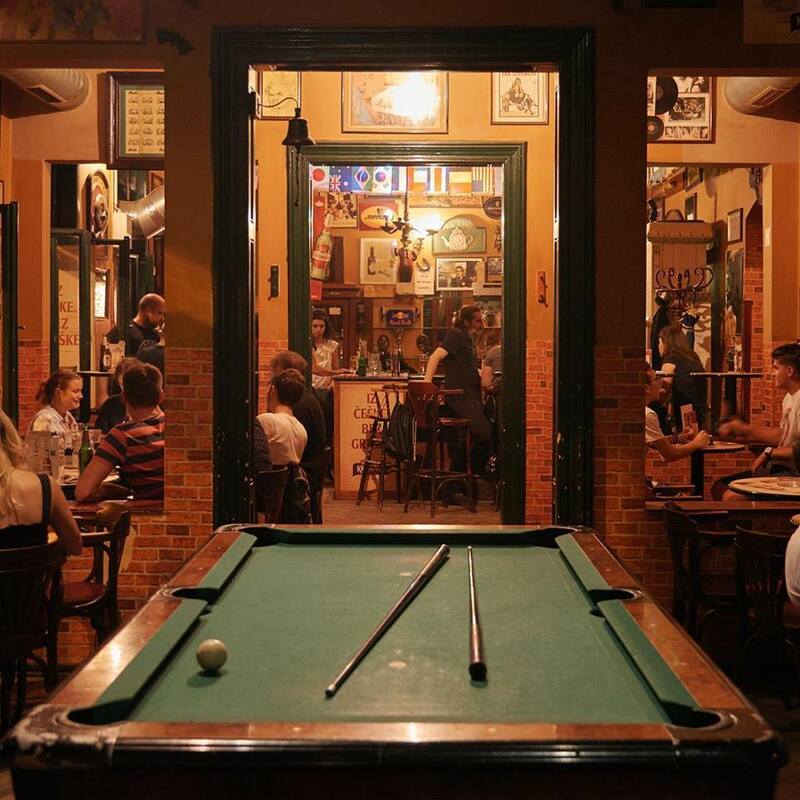 Just off the first square as you walk up from the station, the Bacchus Jazz Bar is an ideal place to meet friends, listen to jazz and either have a civilised party evening or get revved up for what's to come. 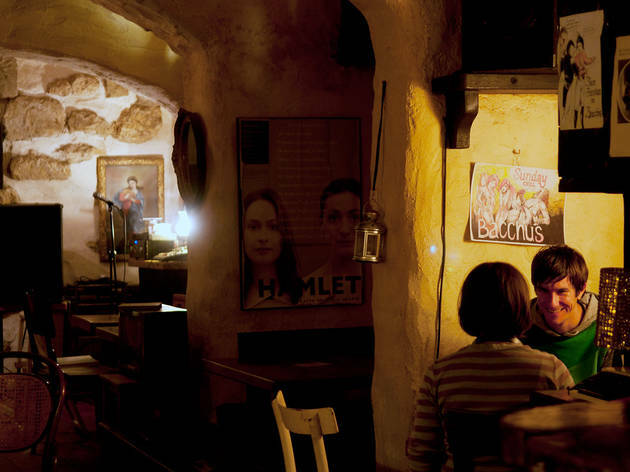 Relaunched as a jazz bar in 2008 after several years on the social margins, the bar exudes a homely Dalmatian feel: the owner is from Split, and there's a fig tree next to the terrace, which is tucked into a passage off the street. 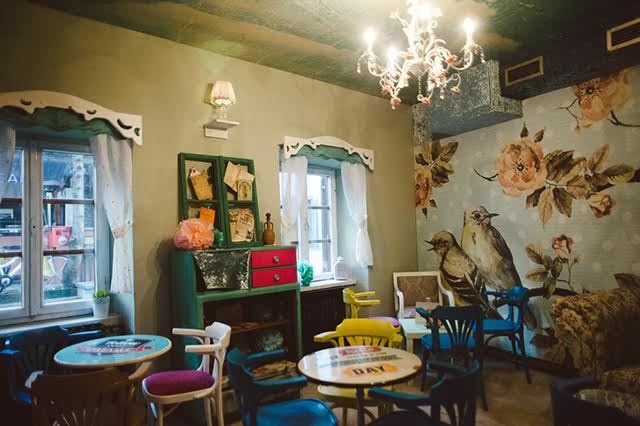 Inside you'll find a hodgepodge of wooden furniture: a 1960s-era television and telephone, and wooden-plank floors under a brick ceiling. 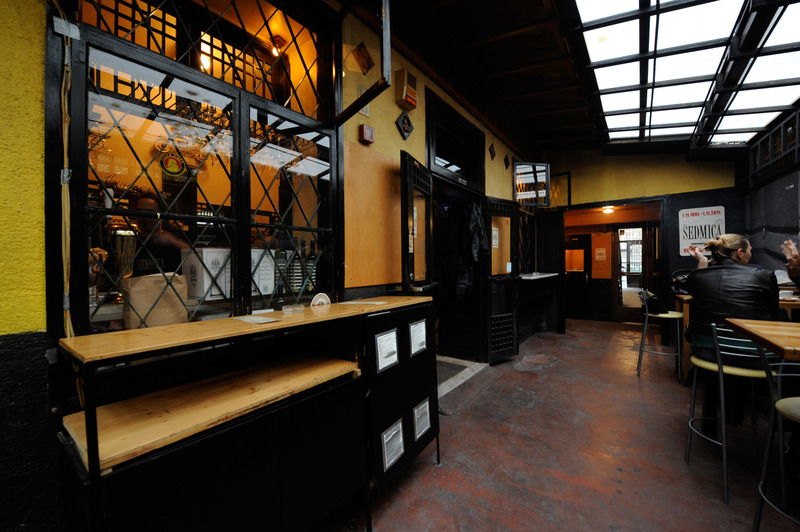 It's almost always busy, so tables will be at a premium. Wines, mainly Dalmatian, have been chosen to suit the mood. There are cocktails too, but few seem to be paying them much attention. 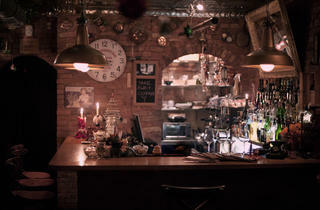 Live poetry or spoken-word on Wednesday nights, live jazz or soul on Friday and Saturday. 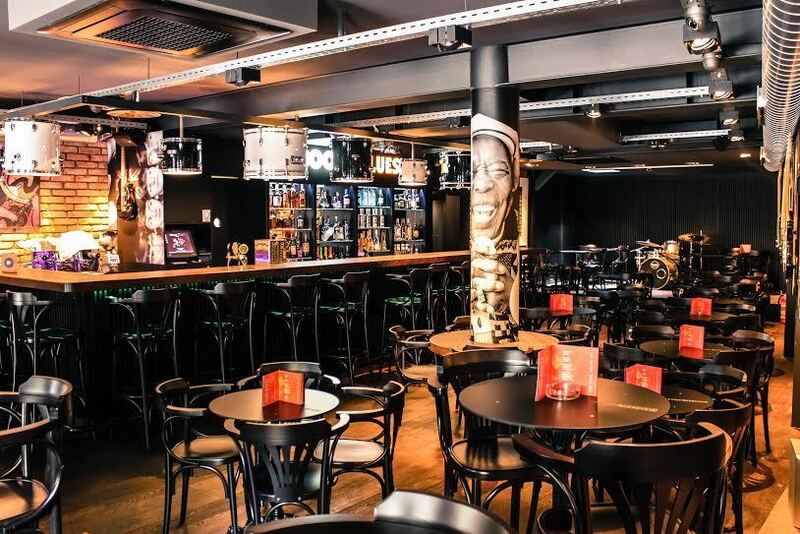 Suitably set in an old hi-fi store, this superior music bar is a lively and popular rendezvous for younger, spiky-haired locals and older rockers. 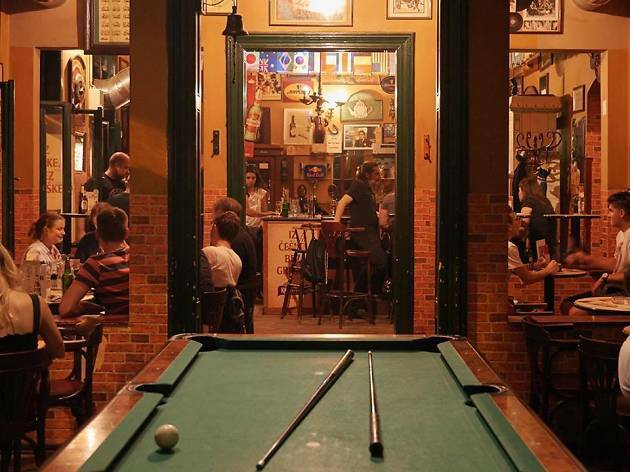 Pub-like in style – old Guinness ads, bare brickwork, pictures of Zappa, the Doors, Costello – 'Good Sound' might be guitar-driven but lacks the macho male overtones of other music bars in town.